EXMAR Yachting offers comprehensive support to owners and captains of luxurious super yachts. 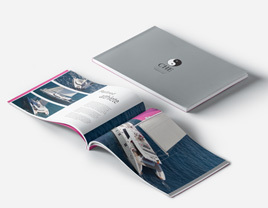 KesselsGranger DesignWorks were asked to develop a set of luxury brochures. DuvedeC Europe asked KesselsGranger DesignWorks to design their new brochure. The layout integrates their services together with their rich history in design and engineering. Sailer Sittard is a fine mechanical lathing company. For their new brochure they approached KesselsGranger DesignWorks with the goal to make their service more approachable. Locate in Limburg guides foreign investors who wish to invest in Limburg. Locate in Limburg chose KesselsGranger DesignWorks for the design of their bidbook. 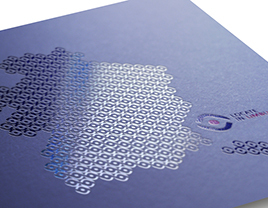 Nonox asked KesselsGranger DesignWorks to design their new brochure. The layout integrates their services together with information over their clean gas engines. 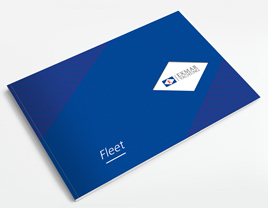 For the restructuring of AutomotiveNL, KesselsGranger DesignWorks was asked by Helmond Council to design the advisory document and accompanying diagrams. 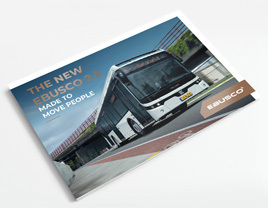 For Ebusco, KesselsGranger DesignWorks has developed multiple brochures and a documentation folder. All documents are finished with a metallic copper colour for extra shine. KesselsGranger DesignWorks is an internationally oriented design studio, founded by the designers Steven Kessels and James Granger. We deliver our services to a broad scale of clients, ranging from starting entrepreneurs to fully established organisations. Our portfolio covers the following services: Product Design (the design / styling of new products, the redesign of existing products and makeovers), Graphic Design (graphic styling and design of visualisations) and Design Thinking (brainstorm sessions, workshops, vision development).